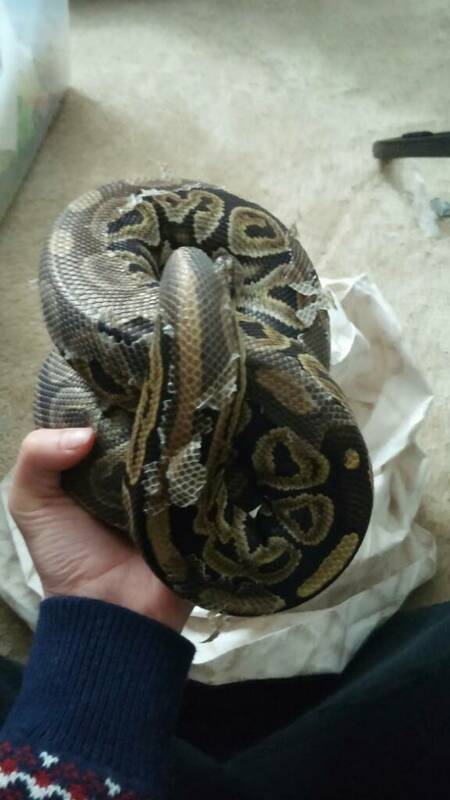 Took a ball python off of a friend who was no longer able to keep the snake. She had him in a 20 gal long with a heat lamp and one hide and a bowl. According to her he had only eaten 2 or 3 times since early october 2016 when she got him. He only eats live, and very inconsistent. 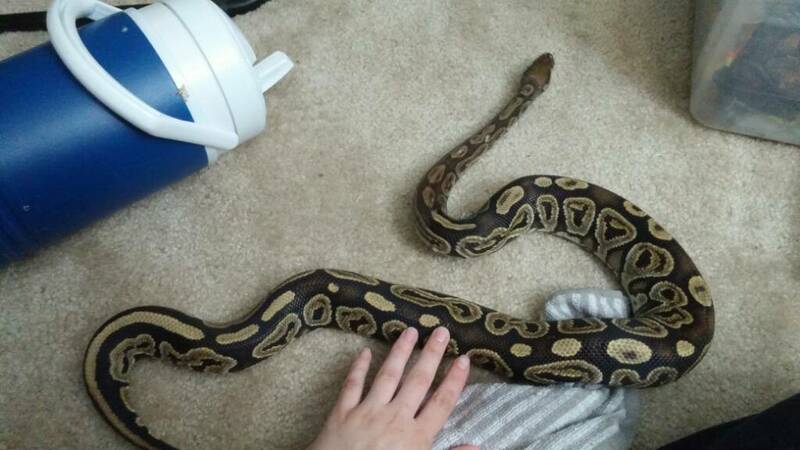 I personally cannot keep this snake forever so I'm looking for a home for him. But this is the condition i got him in. 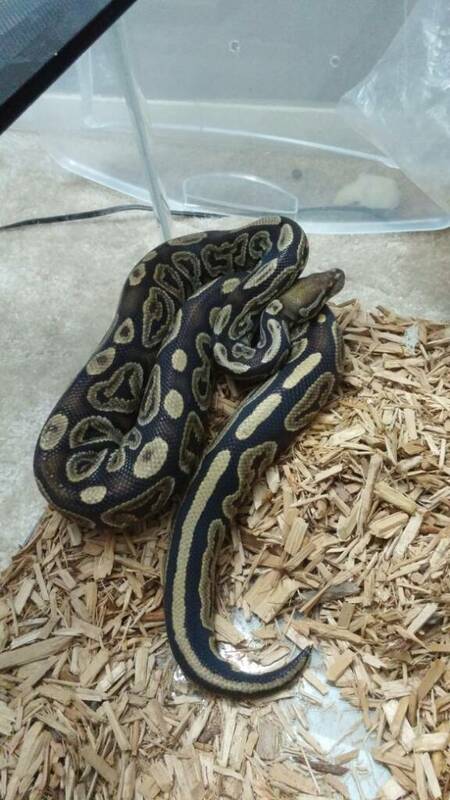 I have never kept ball pythons, so if anyone has any quick tips i would appreciate it. He is whistling badly, and i will be hunting for a vet tomorrow to get him checked out for that. were able to help him, at least for the time being. As I'm sure you know, some RI's respond to just raising the temperatures & improving the habitat conditions, while others need medication from the vet. Im glad his body condition looks ok weight wise to you! I will he double checking with the vet but he doesnt seem too underweight to me. I did check for mites but i will switch him to paper towels when i put him in the tub im setting up for him tonight just in case! I live in edgewood md, which is about an hour north of balitmore. And he is definitely staying far away from my 3, i dont want them getting sick! 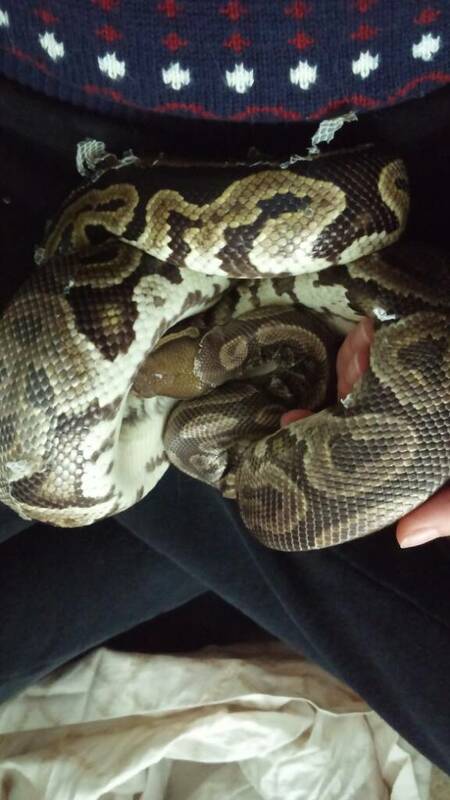 The person got him from a breeder at repticon in baltimore. This is actually the same person who i took my bigger rtb from about 6 months before she got this one. She says she will stay away from reptiles from now on and i hope that she will stick with that! 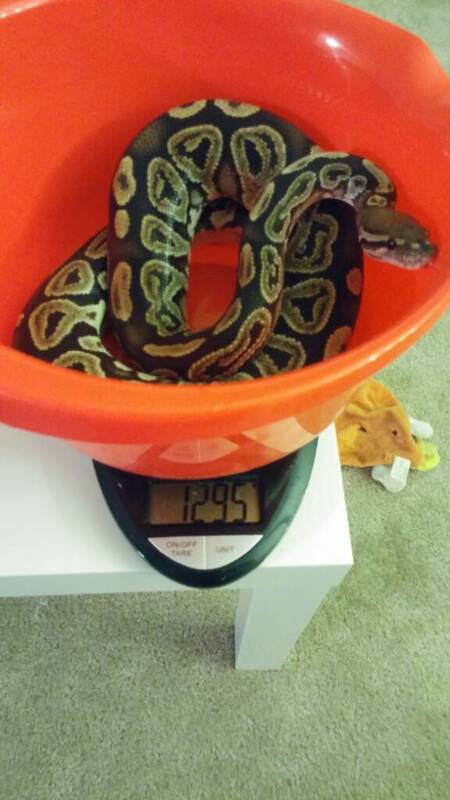 Breeder had said he was a great eater so im thinking its just her not giving him the right living conditions. Thank you for your tips!! I will be changing him to paper towels as soon as i can! then, once they've taken a few meals, offer them a smaller than normal live "appetizer" followed immediately with either a f/t that's already thawed & right temperature (slightly warm) or a freshly killed rodent. w/ local herp societies (New England Herp Society still around? ), & with zoos & exotic animal vets (put a free notice on their bulletin boards) to contact likely adopters. not the other. They also may be taking other (less common -less available) prey too, like soft-furs or chicks...so it really helps to know what they were raised with when "they fed well". Good luck!